Intention. What it is? According to the Merriam-Webster dictionary an intention is ‘a determination to act in a certain way: resolve’. Setting your good or positive intention requires knowing what is important to you. Do you know what that is for you? To one person, it might be to change the world. To another, it might be to make one person smile each day. To another, it may be to meet some other type of goal – eg, work or business related, fitness, calling people you have not connected with in a while. Whatever it is, it is unique to each of us. Say one of your intentions is to move a project forward. If you aren’t doing it already, it helps to set a clear daily goal for yourself – eg, ‘Today, I will select the one thing that will make this project move forward the most productively.’ The next day, it might be that ‘I will select the one item on this project that I have been procrastinating on and start it.’ … and so on. Likewise, say one of your intentions is to make one person feel appreciated each day. Examples of daily goals could be: (1) Day 1 – I will smile at people as I am walking; (2) Day 2 – I will share with somebody at work something that I want to acknowledge them for; (3) Day 3 – I will tell my spouse or a loved one how much I appreciate them and for what reasons; and so forth. 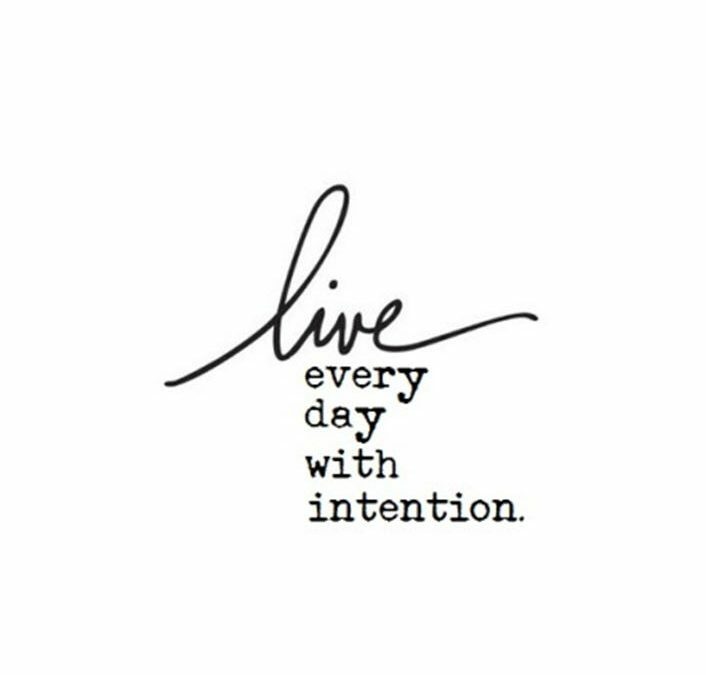 Then, weekly, take note of your progress and how you feel when you are implementing your intention. Ask yourself how your life is different when you express this intention. In most cases, people feel much more fulfilled when they follow through on their positive intentions. It is empowering to set the intention, follow through, and express – through action – what is important to you. This is a key component of fulfillment. Copyright @ 2016 Spark Success Coaching Inc. All Rights Reserved.